I love this and I'm angry I can't justify a Switch this month. Neat. Reminds me of the Sonic OVA, or the cutscenes from Sonic CD. This is basically New Super Mario Bros but for Sonic? I just hope to god the sequels don't become pointless cash grabs, like NSMB ironically. how do you look at all the amazing effort being put into the spritework and overall presentation and think "oh yeah just like new super mario bros."
New Super Mario Bros was a game meant to throw back to the retro days and Mario's (at the time) dead platforming lineup. Sonic Mania is a game meant to throw back to the retro days and Sonic's dead platforming lineup. The literal only thing I'm worried about is the sequels. That's where NSMB went wrong and it could full well happen to Sonic. MM9 and NMSB have similar intentions but different executions. Mania definitely is more of a MM9-style execution while something like Sonic 4 is a NSMB execution. Yeah,I guess that makes sense. Also, Sonic Mania is a result of Sega/Sonic Team finally realizing that a very sizeable portion of their fan base would rather play a polished Sonic fan-game than their new content because their new content has completely different physics and feel to it than the early era Sonic games, whereas fans who enjoy those games want something to polish and perfect that old formula rather than throw it out completely. 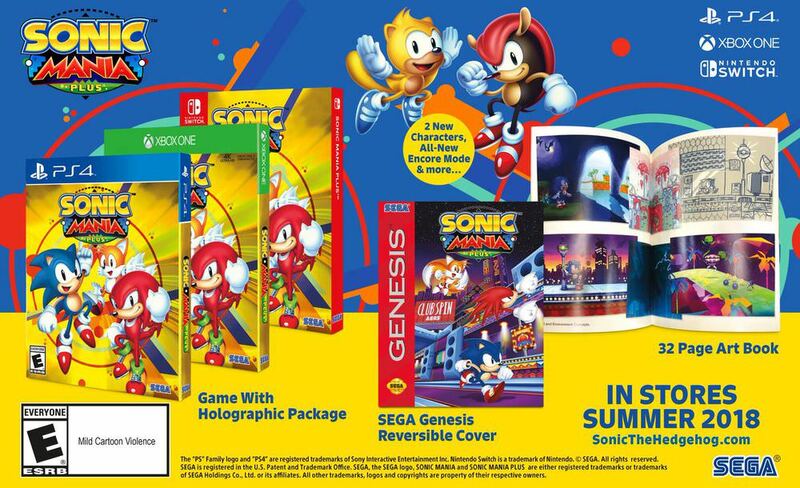 Sonic Mania is pretty much Sonic Team recognizing the popularity of certain fan works and that fans are doing what fans want better than they are, and giving the green light to make what is essentially an official sonic fangame. It's honestly a really remarkable feat of collaboration with the community imo, and a meaningful continuation of 2D Sonic that builds on and polishes the potential that was there. I was really impressed with the framerate and the number of levels. Finally got around to downloading this, and I'm loving it just as much as I thought I would. I was also surprised by the number of levels (I tried not to learn too much about it beforehand) and the design is top-notch. You just really get the sense that this was made by people who really love the old-school games. Honestly, I feel pretty comfortable putting this game right up there with S3&K. Have any of y'all played Sonic Megamix? Stealth was the lead developer on that before he went to work on mania. It's such a great game. I've beaten it with all 5 characters multiple times. He's definitely the most involved, knuckles wasn't finished so after Dark Fortress he doesn't get anymore exclusive paths which makes him my least favorite. Tails has the slash ability which is good for taking out enemies you can't jump on (caterkillers, that weird snail enemy), mighty can have multiple shields which is really useful for the water level and metallic base, shadow I haven't fully completed but he feels like a **** tails clone tbh. It's certainly the best Sonic game. I'm confident in saying that. I guess since they brought Fang, Bark, and Bean back from the grave, it makes sense they'd revive those two losers too. Honey the Cat and Tails Doll when? That's the right way to do Sonic. Hopefully they get super obscure and add in Sonic's original human girlfriend, Madonna.